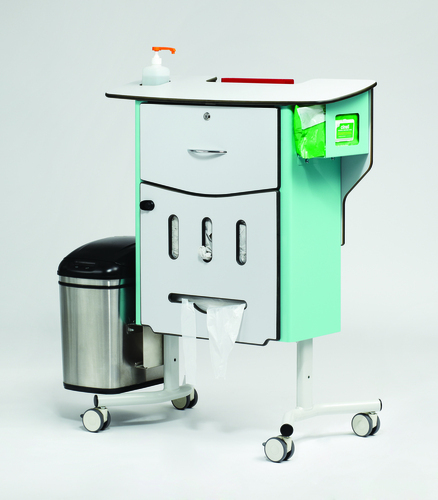 West was the lead researcher for and designer of the CareCentre, a fully realised and manufactured hospital-ward product. 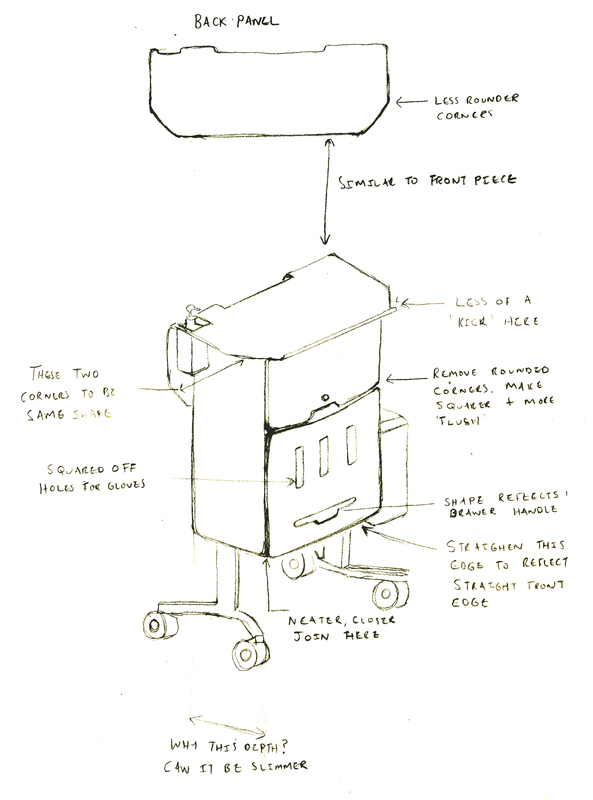 It was funded by the EPSRC as part of the Designing Out Medical Error (DOME) project (2008-11). 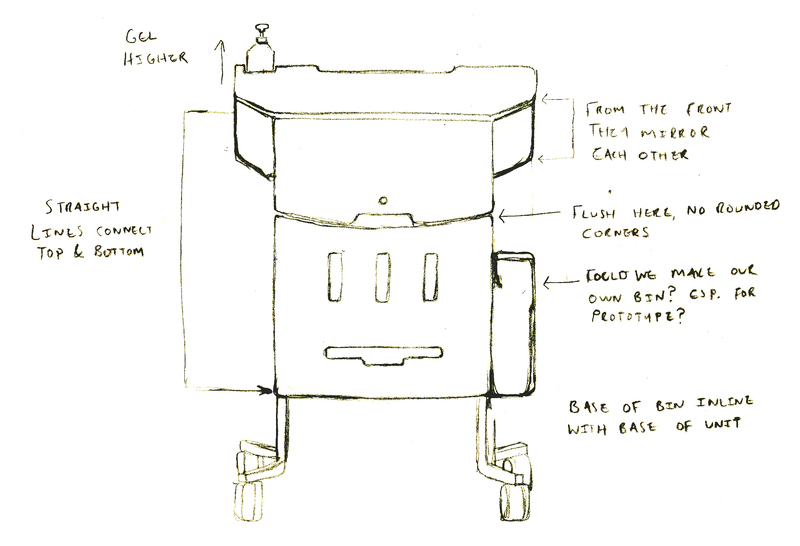 The initial design brief was to improve hand hygiene and compliance with infection control protocols at the bedside. 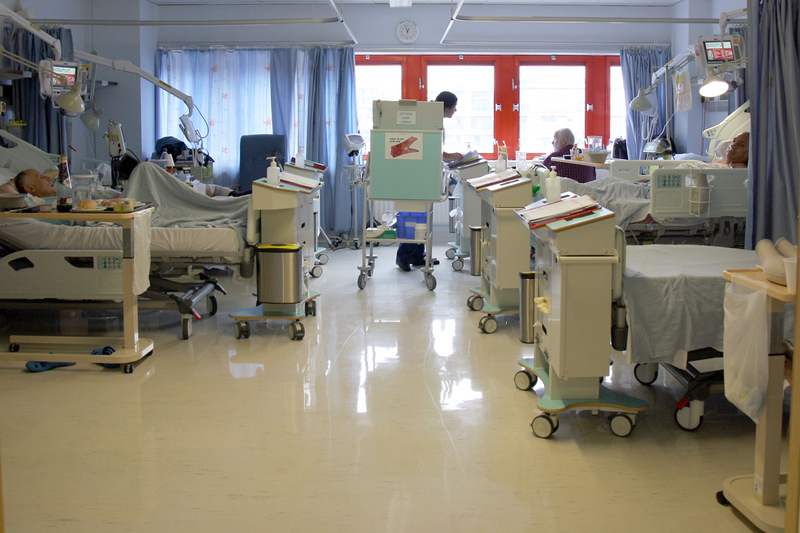 This was the first time that the complex system of clinical processes within the bed space was considered from a design viewpoint, treating it as an overarching system, rather than discrete isolated processes. 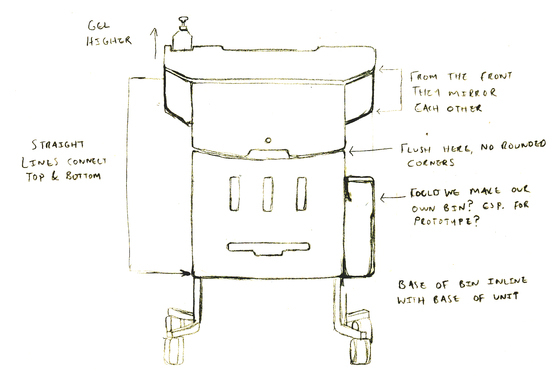 The design emerged from a parallel analysis of five common bedside care processes. West led research within a prescriptive framework (a prospective hazard analysis tool adapted from FMEA - Failure Mode and Effects Analysis) and co-design within a more fluid approach (including De Bono’s creative techniques). The CareCentre is a product placed at the end of the patient’s bed, containing all equipment used for common bedside care. 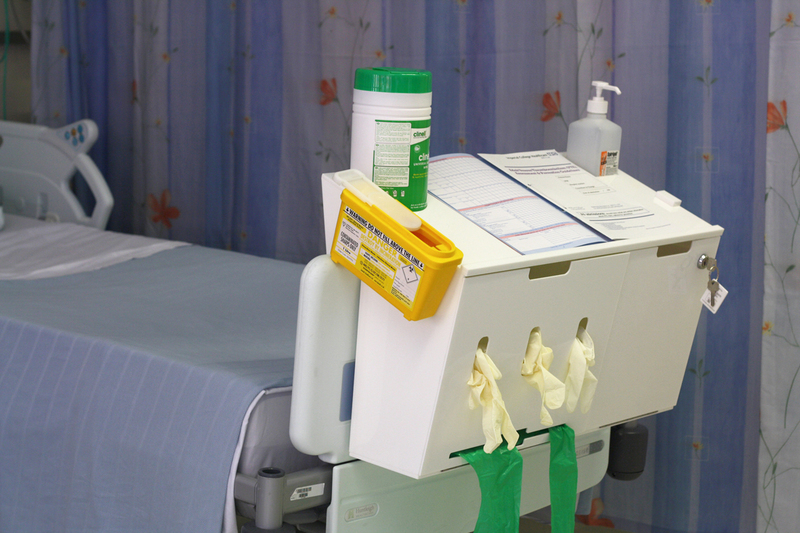 A direct translational output with impact on clinical care, it improves use of aprons and gloves among healthcare practitioners, increases the use of hand sanitising gel, and streamlines the clinical workflow. Cluster-randomised crossover clinical trials (Anderson et al. 2012) have demonstrated its efficacy in a particularly difficult area. 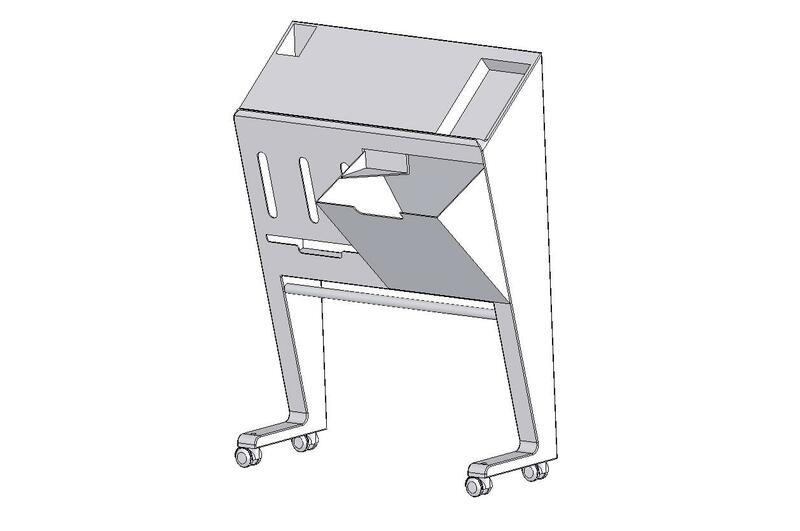 This is the first time that speculative RCUK-funded clinical design research has matured through clinical trials to a manufactured product available commercially. 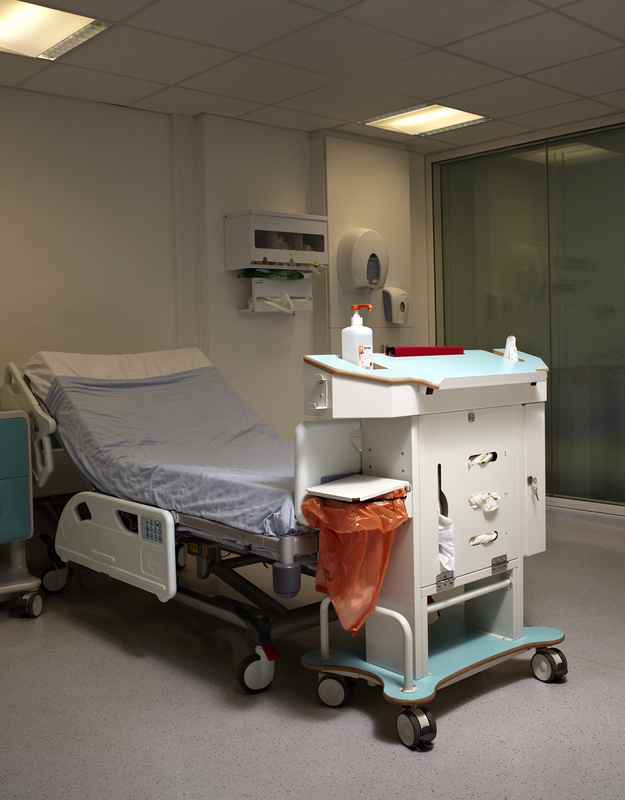 The CareCentre was finalist in two categories at the Building Better Healthcare Awards 2012, and in the Patient Safety Awards 2013. 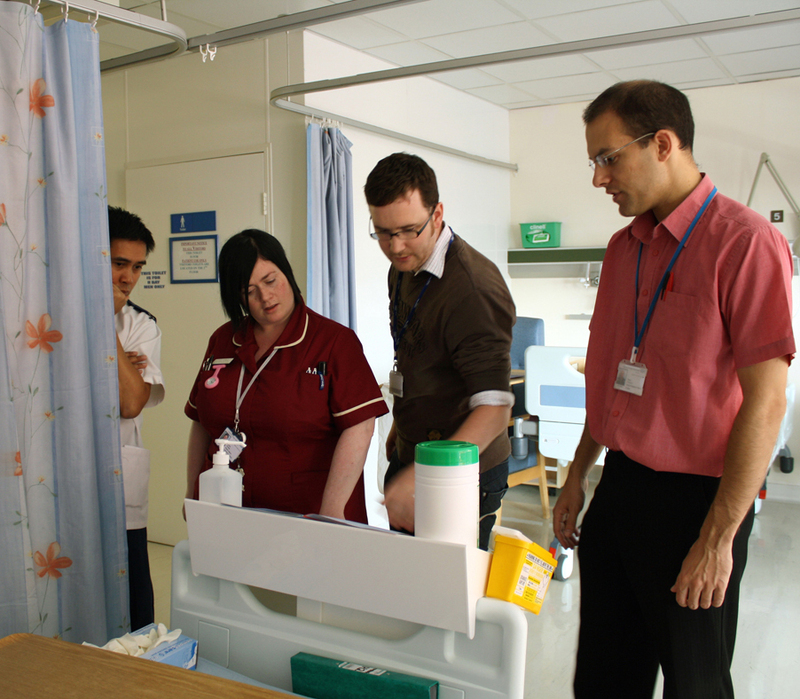 The cluster-randomised crossover clinical trial was published as an abstract in the British Journal of Surgery (2012). 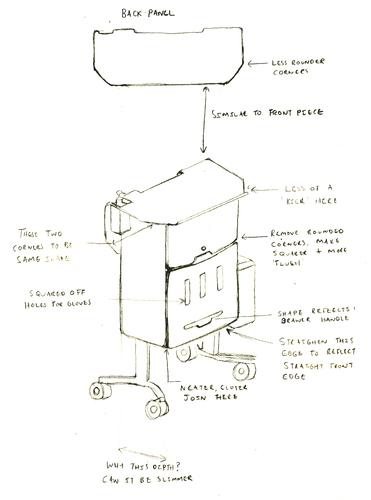 West gave related presentations at the ‘Design & Health World Congress’, USA (2011), the ‘1st European Conference on Design4Health’, UK (2011), the Institute for Healthcare ‘Improvement National Forum’, USA (2011) and the ‘Design of Medical Devices’ conference, USA (2013).